An Aiden Townhouse is a stunning self-catering holiday home nestled in a spectacular setting with outstanding views across the Benmore hills and beyond. Beautifully restored and furnished you will feel instantly at home. An Aiden Townhouse is a stunning self-catering holiday home nestled in a spectacular setting with outstanding views across the Benmore hills and beyond. Beautifully restored and furnished you will feel instantly at home from the moment you arrive. Perfect for families to explore this magnificent area. The interiors are are filled with flair and charm, with all your modern conveniences. 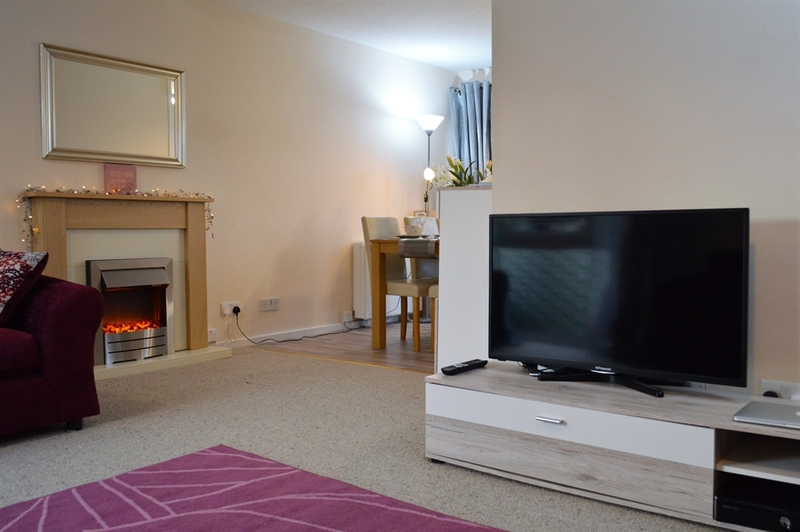 The open plan living area features a large living space, with comfy sofas to unwind, a 40 inch Smart TV for entertainment, Xbox DVD and CD Player. The living room also features a dining area for family feasts and doors leading to a small outside patio garden. The kitchen is modern and very well equipped, complete with electric cooker, hob, microwave, dishwasher and a fridge freezer. There is everything you need to make your stay stress free and extremely comfortable. 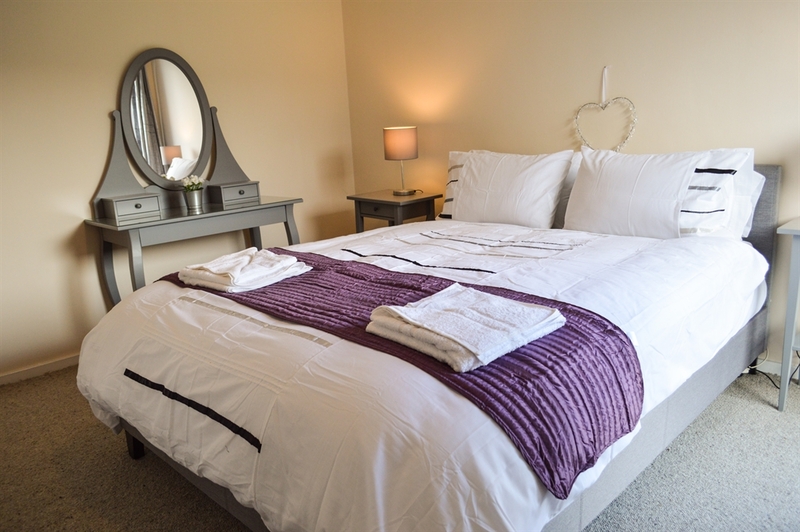 All three bedrooms are located upstairs sleeping up to 4 adults and one child. The master bedroom is both spacious and inviting with the most amazing mountain views. Adjacent is the twin bedroom with an adjoining single bedroom, ideal for a child. The newly designed family bathroom is also located on this level, with a luxury bath with overhead shower, and a WC. 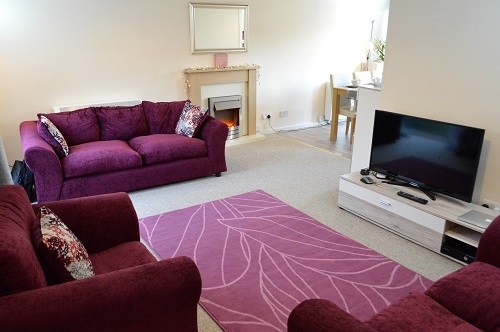 The townhouse is located in a quiet and peaceful residential area of Sandbank, adjacent to the Holy Loch. The small rear garden is enclosed with outdoor furniture. The garden has access to a waking path that takes you along to the local pubs and shops. The views in this area are spectacular. An Diaden is an ideal base to explore the stunning Cowal Peninsula for walks, fishing and visiting the many surrounding attractions including the famous Benmore Botanic Gardens, just 5 minutes drive away. Or you may simply take time out to enjoy the location. There are two local pubs/restaurants within 20 minutes walking distance. One well behaved dog is well come. Please request, £3 per night.